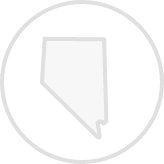 Create a legally binding Nevada Bill of Sale with our attorney-drafted template! What Is a Nevada Bill of Sale? A Nevada bill of sale is a document that acts as proof of ownership for the described item. The parties involved in the bill of sale are referred to as the buyer and the seller. A Nevada bill of sale does not need to be notarized. What Are Some Common Bills of Sale Used in Nevada? The most commonly used Nevada bills of sale include a general bill of sale, a bill of sale for a motor vehicle, a bill of sale for a boat, and a bill of sale for a gun. How Do I Write a Nevada Bill of Sale? Writing a Nevada bill of sale doesn't have to take a lot of time. You do not need to use any specific legal words. The important information to have in a Nevada bill of sale identifies the parties involved, a description of the item, the terms of the sale (including the price), a seller's disclosure, and it should be signed and dated by both the buyer and the seller. The differences between the most common bills of sale is in how the item being sold is described. First, we will look at the information common to all bills of sale. Then, you'll learn how to describe items based on the type of bill of sale. A Nevada bill of sale should be dated when it is written. However, if the buyer will pay for the item on a different day, you should include the date in the provision that discusses the terms of the sale. The signatures of both the buyer and the seller should also be dated. 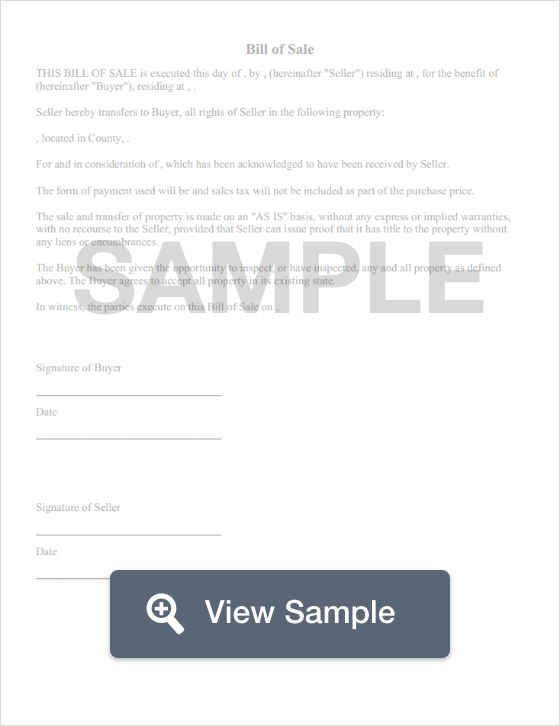 The information you should include about both the seller and the buyer is the full legal name and their legal address. You can add other information, such as a driver's license number, to help with proof of ownership in the event that the item is stolen and the new owner needs to prove they own the item. Next, you'd describe the item. You'll learn more about that below. After the description, you'll list the terms of the sale. You can even use a Nevada bill of sale if you're giving the item as a gift to another person. You should indicate that the item is a gift for the terms of the sale. You can also use a bill of sale if there is a trade. You would describe both items. Money is the most common compensation for a sale. You list the price in words and then in numbers. For example, five-hundred dollars and no cents ($500.00). You would then add any other conditions of the sale. A seller's disclosure is an optional portion of a Nevada bill of sale, but it is incredibly useful. With a seller's disclosure, you're informing the buyer of any problem that the item has. This could be a cosmetic issue or a serious issue. You are also informing the buyer that the sale has no warranty and is an "as-is" purchase. Finally, the bill of sale should be signed and dated by both the buyer and the seller. They should each keep at least two copies of the executed bill of sale for their records. Continue reading to learn how to describe property for the most commonly used Nevada bills of sale. A Nevada general bill of sale is used to sell personal items such as furniture, books, jewelry, televisions, and bicycles. Basically, if it isn't a motor vehicle, boat, or gun, you would use this bill of sale. First, check the item you're selling for a registration number, serial number, model number, or other identifying number. You'll want to include that in the bill of sale. If the item has a make, model, and year, you can include that. You can also list color, size, shape, and material. If you were selling a diamond ring, for example, you could mention the material the band is made from, the ring's size, and the size of the diamond. A Nevada bill of sale for a motor vehicle is used to sell a car, truck, or motorcycle. Sometimes, it's also used to sell ATVs since and ATV also meets the legal definition of a "motor vehicle." To describe a motor vehicle, you'll list the make, model, and year; VIN; whether there is a lien; and you must include either a Nevada driver's license number, ID card number, date of birth, or FEIN if a business is involved. A Nevada bill of sale for a motor vehicle must should have a seller's disclosure that mentions that the seller is the lawful owner of the vehicle, they have the right to sell it, and that they would defend the title in the event that another person (aside from a named lienholder) states that they have a right to the vehicle in some way. A Nevada bill of sale for a boat should include the make, length, and year the boat was built; the Hull ID; the registration ID number; the odometer reading; and a title number. The bill of sale should indicate whether the sale includes a trailer or a motor. If it does, you should list certain information about the trailer or the motor. For the trailer, you would list the make and the year. For the motor, you'd document the make, year, and horsepower. A Nevada bill of sale for a gun should list the make, model, caliber, and serial number of the weapon. If you're including a case, holster, or gun accessories in the sale, that should be mentioned. If the exchange is a trade, remember to include information on both items. Is a Nevada Bill of Sale Required to Register a Motor Vehicle? No, but you do need the title signed over to your name. According to the Department of Motor Vehicles for the State of Nevada, you'll need the title or a security agreement from a financial institution, proof of insurance, you may need an emission vehicle inspection report, you may need a VIN inspection, and a completed Application for Vehicle Registration (VP 222). It's important to note that the name on the insurance must match how it is listed on the title and registration information. Nevada does not accept out of state insurance. You should be prepared to pay your associated fees. Nevada provides a fee estimator. Is a Nevada Bill of Sale Required to Register a Boat? Yes, a Nevada bill of sale is required to register a boat. According to the Nevada Department of Wildlife, a Nevada bill of sale acts as proof of ownership. You'll also need proof that you paid sales tax unless the sale is considered a casual sale. To learn more about a casual sale, you're encouraged to contact the Department of Taxation. You'll also need to present the Manufacturer's Statement of Origin, previous registration, and your social security number. You should be prepared to pay your registration fees. Is a Nevada Bill of Sale Required to Register a Gun? No, a Nevada bill of sale is not required to register a gun. Guns are not registered in the State of Nevada. Create a free Nevada Bill of Sale in minutes with our professional document builder.